The Chicago School’s Ed.D. in Educational Psychology and Technology online program prepares students to become experts in the evolving field of learning technology. Students will develop the ability to critically evaluate effective instruction, assess teaching and learning challenges, and make decisions regarding the development and implementation of new technology-driven approaches that enhance learning outcomes. Students at The Chicago School will enjoy a transformative educational experience with the flexibility of a program that does not have to interfere with their other professional or personal commitments. Guided by practitioner faculty, students will learn to be experts who apply educational and psychological theories to real-world situations, bridging the gap between research and practice. Through the convenience of The Chicago School’s online programs, your life remains intact. Our online Global Student Dashboard is where you will find all of the components to successfully complete your program. There, students will find their coursework and assignments, be able to interact with fellow students, and ask questions to their instructor(s). This course will begin with students studying the interaction of computer technologies and cognitive theories. Students will learn with new technologies, discover how technology influences theories of mind, and how theories of cognition may guide the development of new technologies. The theories covered will include biopsychological, behavior-analytics, and socio-culture perspectives. Issues involving learning, memory and cognition, problem solving, and emotions throughout the lifespan will be included. This course is designed to give doctoral students a place to discuss the historical theoretical, empirical, methodological, and philosophical issues as well as current topics. Students will investigate the relationships between educational psychology and technology. Research literature on learning and development in educational settings will be studied. The goal is to create a professional environment where students can share ideas and collaborate as they explore their own ideas for scholarly research. This course examines what is involved in designing technology-rich environments to support different types of learning systems. Students will continue to examine the integration of human learning theories with instructional design and begin to develop practices in the selection, preparation, and evaluation of instructional technology implementation throughout different learning systems. Students enrolled in the Ed.D. 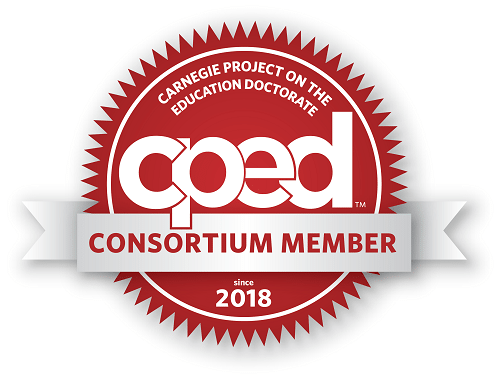 Educational Psychology and Technology Online program must attend two residency sessions at The Chicago School of Professional Psychology (campus locations may vary). The three and a half day residency meetings focus on special topics in the field, how to access and incorporate emerging learning technologies into professional settings, and research methodologies. During the second residency meeting, students will complete their competency examinations. Both residencies provide in-depth learning and opportunities for face-to-face mentoring, action research and evaluation work, and program learning. Residencies also help students to build relationships with their colleagues of peers and program faculty and staff. The dissertation must contribute to the field of Educational Psychology and Technology. Peer-reviewed scholarly journals must be used with an emphasis on Educational Psychology and Technology and related disciplines such as Education, Psychology, Educational Technology, and Instructional Design/Technology. Additional journals may be incorporated at the discretion of the student’s Dissertation Chair. The Dissertation Committee must be composed of a Dissertation Chair and two Readers. The Department Chair and Dissertation Chair must approve students’ dissertation topics and committee members. The Dissertation Committee must approve the dissertation proposal before the student completes his/her IRB application. Provide a brief description of your professional goals. How will the knowledge, skills, and expertise that you gain from this program help you achieve these goals? Ed.D. programs are often structured to prepare students to advocate for positive change in their professional settings. How might this program assist you in making informed changes in your future professional settings? At least three years working in an educational field or setting. Prospective students may include but not are limited to teachers, school administrators, curriculum developers, school counselors, principals, corporate training directors, and professionals in related fields. Applicants who otherwise meet the admissions requirements of the program, but who have not previously completed at least 6 credit hours of Master’s level courses related to Psychology, Education, Educational Psychology, Educational Leadership, Curriculum and Instruction, Instructional Design/Technology or a related field with a passing grade of B or higher or who do not have a minimum of three years of professional work experience in an educational field will be required to fulfill these admission requirements prior to enrolling in this program through the completion of Preparatory Coursework. Applicants should review the Preparatory Coursework policy for additional details.